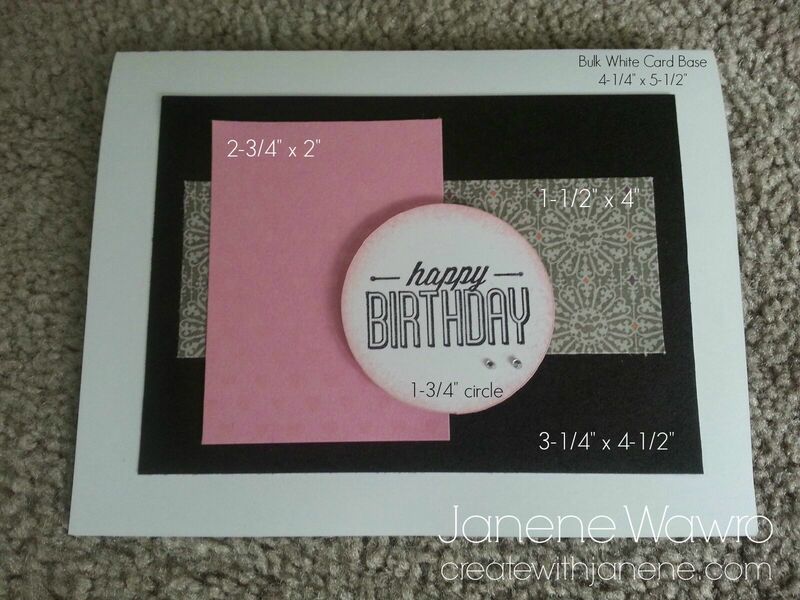 Create With Janene: Quick & Easy 5-Minute Card! Quick & Easy 5-Minute Card! 1) I started by using a standard card base (CTMH has an awesome value pack where you get 50 cards and 50 envelopes for just $14.95, or $.30 per card/envelope - wow!). Click HERE to see the value pack. 2) Next, adhere your black cardstock to the center of the card. Black cardstock can be found HERE. 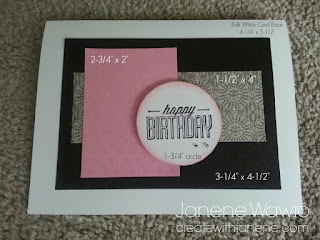 3) Layer the gray pattern paper in the center of the black cardstock. This paper comes from the new "Nevermore" paper pack which will be available on September 1st, so search it on the 1st on my website! 4) Add the pink Paper Fundamentals paper next. 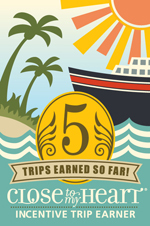 This came from the Whimsy pack, which can be found HERE. This paper is fun because one side has the pattern mixed with white, and the other side is solid with a raised embossed design. Adorable! 5) The final step to finish the card is to cut a 1-3/4" circle (I cut it on my Cricut), and sponge Pixie ink (found HERE) all around the edges with a sponge. Then stamp your saying in Black ink (found HERE). I used the August 2015 Stamp of the Month (found HERE), but buy it quickly because it's gone after August 31st! $17.95, or just $5.00 with a $50.00 order - GREAT DEAL! Add a couple of Bitty Sparkles (found HERE) as your finishing touch. Since these are REALLY tiny, cute sparkles, I don't try placing them with my finger, but instead, lift them off their carrier sheet with our Piercing Tool (found HERE) and then placing it where I want it. Great tip and perfect placement every time. Then adhere it with some foam tape (found HERE) to lift it off your card for nice dimension.